Is ‘Seen’ a boon or bane? 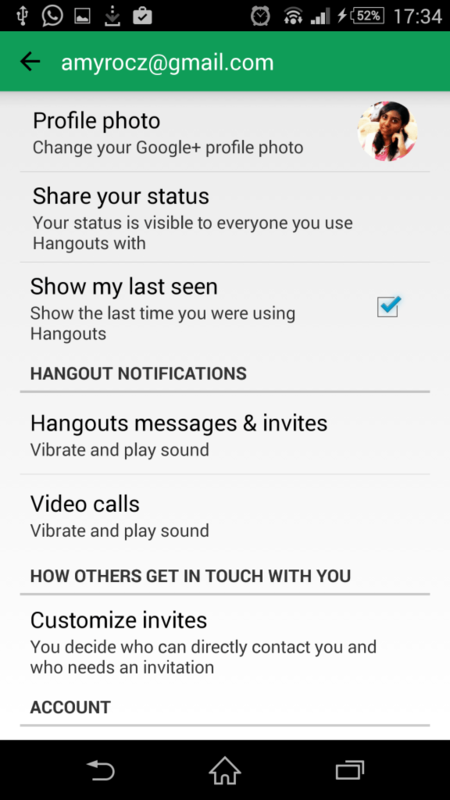 Adjust your Hangouts settings accordingly! People get frustrated when a message is sent and they have no idea if it is read or not. It is for them that the ‘Seen’ feature was even introduced. But a lot of other people feel it is a big breach of privacy. Which is why even the disabling of it is given as an option. The ‘Seen’ feature, as I see it, is somewhat flawed. Just because the screen is on, it doesn’t mean a person is actually seeing it. If they had to make it more accurate, they’d have to detect a person actually seeing the message, using a webcam or a secondary camera or something. But that would be an even more enormous breach of privacy. Whether you like the feature or not, you can toggle it to your needs. 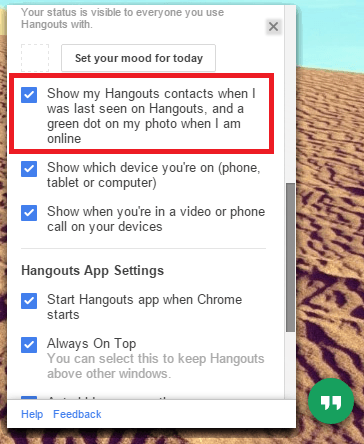 Here’s how you do it in Google Hangouts in both the mobile App as well as in your browser. 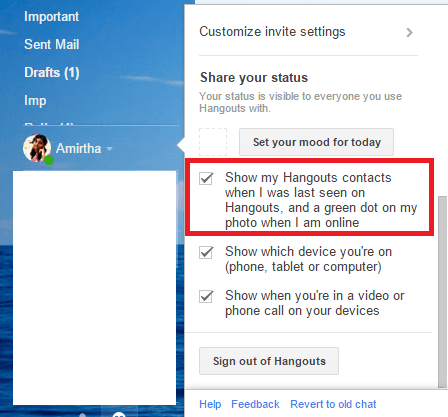 The ‘Seen’ feature in Google Hangouts App was added in version 2.5. 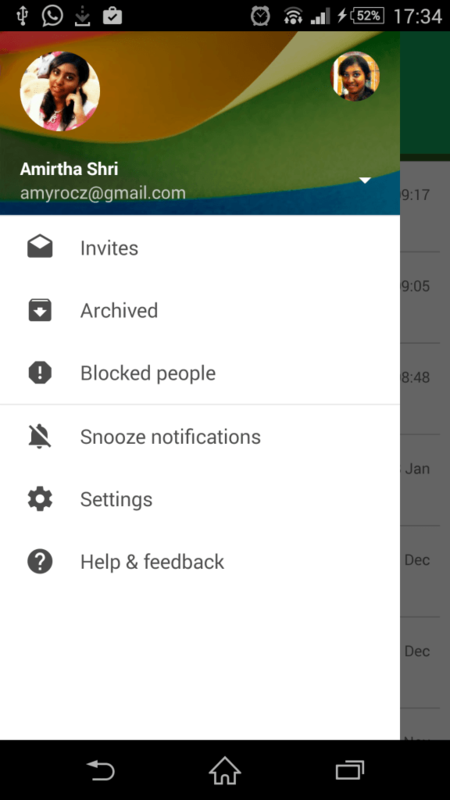 Open your Hangouts App. Depending on the version of your App, you may have different ways to access your settings. For most versions, you have to slide the screen from left to right or click on your picture for a navigation pane to appear and then choose ‘Settings’. If you have multiple accounts, you have to choose for which one you’d like to disable or enable the feature. There’s no option to select all, you’ll have to do it individually. In Settings, you can see an option by the name ‘Show my last seen’ along with a checkbox to toggle for enabling or disabling it. 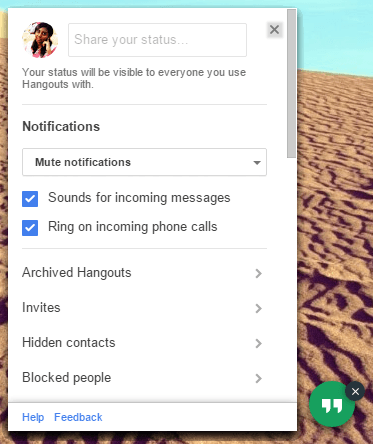 You have a Hangouts App or an Extension in Chrome to support Google Hangouts. Near the search bar in the conversation box, there’s a small arrow. Click on the drop down arrow to unravel settings. 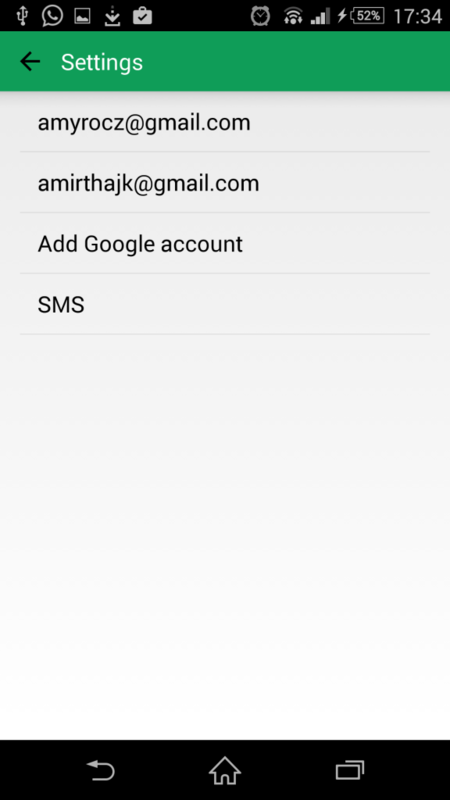 Scroll down in the settings options and you’ll find the option ‘Show my Hangouts contacts when I was last seen on Hangouts….’ option along with a checkbox to toggle for enabling or disabling it. Hiding the ‘Seen’ in Gmail is almost the same as what you do in your Chrome’s extension except for the part where you have to log in to Gmail. 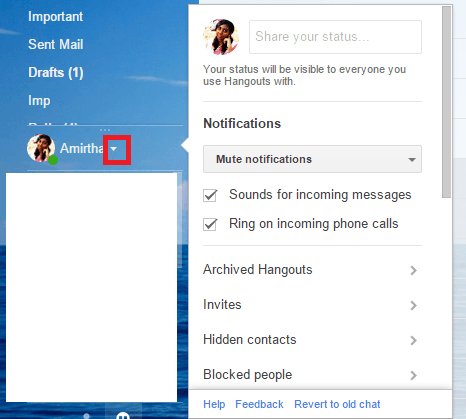 Log in to Gmail, go to left bottom of the screen where your Hangout conversations are displayed. Next to your name you’ll find an arrow. Click on it to unravel settings. That’s it! Would you like to share your thoughts on “When I was last seen” feature, do write in the comments below.